WE can take it as read that Mrs May will never leave office voluntarily. She has no intention of resigning whether she gets her Withdrawal Agreement through or not. Her Number 10 team have no intention of letting her stand down either. Whether she is the stooge of hard Remainers Olly Robbins, Robbie Gibb, David Lidington and Sir Mark Sedwill, or whether they are her ‘creatures’, doesn’t matter any longer. The vested interests of Remainers in Cabinet and Parliament in keeping her in office is obvious. Her future is their future. Nevertheless her ineptitude and failure to deliver on her Brexit promise are beyond discussion. It was obvious when Jacob Rees-Mogg called his vote of no confidence. It is a terrible mark against the Conservative MPs who refused to back this principled man. It was obvious again when her Withdrawal Agreement was voted down for the third time. Yet at the subsequent meeting of the 1922 Committee she was allowed to say that she’d ‘be prepared’ to stand down if her WA was finally approved. It was a careful choice of words. Deferential Tory MPs let her get away with this sleight of hand, failed to demand her immediate resignation and missed their best chance. How they must be regretting it! That’s been the pattern since Chequers in July – one opportunity after another to rid themselves of this pestilent PM has been forfeited. 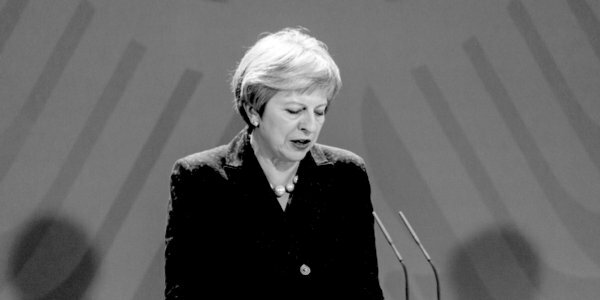 Risk-aversion and self-interest trumping principle and the concatenation of events has brought to the chaos we are in now – Mrs May, the death star, still in power. Nothing will change, let alone improve, until May is made to go. The right time has been every day since Chequers. A group of Tory MPs used the 1922 Committee meeting on Wednesday to implore its chairman, Sir Graham Brady, to find ways to oust Mrs May from No 10. He must – in the interests not just of Brexit, or just of his party, but of the country – before she tears it apart. We at TCW are counting the days till they get their act together and act. Today is Day One . . .
Next articleA convicted perjurer has the casting vote. Hurrah for fair play!